Devil May Cry 5 has finally been released after having been in development for a very long time. While the wait was very long, it was definitely worth it, as Hideaki Itsuno and his team have created the best entry in the series and one of the best character action games ever released. Devil May Cry 5’s combat is the definite highlight of the game, and things have been made even better by the battle themes for all three playable characters – Devil Trigger, Crimson Cloud and Subhuman. We had the chance to talk with Jeff Rona, Cody Matthew Johnson, Casey Edwards and Ali Edwards, who worked on the three battle themes as well as on Legacy, the main theme song. In the interview, we discussed inspiration, the unique sound design of the game and more. How did you get involved in writing the battle themes for V, Dante and Nero? That project went smoothly, and they loved our work. It was after Marvel vs Capcom: Infinite when they came back to me for another game. Because they loved my music and remix of Dante’s theme in MVCI, they wanted me to take a stab at an entirely new and original theme for what turned out to be Devil May Cry 5. Jeff: I worked with Capcom several months earlier on another game called Marvel vs. Capcom Infinite. I helped produce over 30 tracks for the game where we took classic Capcom Street Fighter themes going back over 30 years and making them very modern and stylish. They were very happy so they remembered me for this project! Casey: Capcom had heard some music from another game that I was involved in. It also was very high energy and interactive song-based music. At the time, they were also referencing one of Ali’s tracks from the same game, and they had no idea that we had worked together on that project. Nor did they know that we were married and have been working together professionally for years. It was kind of a funny coincidence! Did you have any previous knowledge of the series? If so, did this help you while writing the battle themes, both music and lyrics? Cody: As an active and avid gamer, I had a lot of knowledge about the Devil May Cry series. Growing up, I played the games casually (mostly because they are so difficult… I still haven’t made it 100% through the first three. I’m not SSStylish enough), and really found a home with Devil May Cry 4, and the DMC: Devil May Cry reboot game. The games have always had an extremely iconic, defining musical style to them, which is beloved by fans — and rightfully so. Those themes are legendary. I personally love “Blackened Angel,” simply because I played Devil May Cry 4 so much and had it on repeat for weeks on end. “Devils Never Cry” had worked its way into my ear after I listened to it religiously before I worked on remixing it for Marvel vs. Capcom: Infinite. For me, the previous themes needed to, at the very least, infer and provide insight to what has worked musically for previous Devil May Cry games, and that I needed to protect the integrity of the sacred musical history of the franchise. When Capcom came to me, they wanted to make sure I understood the origin story. They sent me links to their favorite pieces from previous games, however, they asked me to push the music for Dante in a new direction — the character is changing, the story is changing, and the music needed to reflect that as well. Casey: I actually still remember my mom taking me to Blockbuster to rent the first Devil May Cry game in the series back in the early 2000’s. I was an angsty teen who played way too much guitar, so I fell in love instantly with the dark gothic look and heavy metal. I also really liked how DMC manages to deliver a serious story while also not being afraid to keep its tongue firmly in cheek! Having past experience with the franchise helped immensely! The opening lyric of the song “I’ll endure the exile” was a line directly from my favorite Nero scene in DMC4. The metal influence came straight from my nostalgia of playing DMC 1 and 2 almost 15 years ago. To me, metal is an important part of DMC’s fabric and I didn’t want to lose that, even if Nero’s main vibe was more pop-oriented. I also chose to briefly include male vocalist, Cliff Lloret, for the same reason, to pay homage to DMC’s past, while also doing my best to push forward with new ideas. Jeff: I didn’t have much prior awareness of the series. I’ve heard of it and I’ve seen a few videos of it. But for this game, they wanted something fresh that had not been done in any of the prior chapters. So it didn’t really take long for me to get up to speed in the world of Devil May Cry while I wrote a theme for a new character. 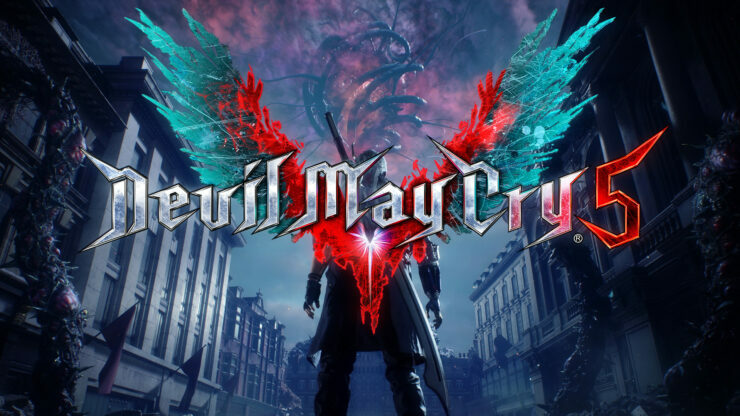 Devil May Cry 5 does an excellent job in blending together gameplay and music, with the songs’ energetic choruses playing only once S and above stylish rank has been achieved in battle. Were the choruses written taking this into account or were they always this way regardless of this feature? Cody: The way Capcom has expanded on Devil May Cry’s musical combat system is pretty groundbreaking. Some of the creative choices to use the battle themes/songs dynamically throughout Devil May Cry 5 puts them at the forefront of interactive music/audio in video games. There was a music system in place before we came on board, and they laid the groundwork for the verse, chorus, etc., but really where the music took on a life of its own was over the course of a few months. We added new sections, expanded on the ideas and the system, and the song went from being only a couple of minutes long to a near 10-minute, fully-dynamic piece of music that exists within the game now. Capcom was very clear they needed some huge music for the chorus, for those players who are truly SSSkilled at Devil May Cry 5. There needed to be a payoff, and a large part of our work was carefully planning and writing around rewarding the players for their effort while not breaking the fantasy and immersion Capcom had created in their visual and narratively stunning game. Jeff: That’s a really good question! In fact, the way “Crimson Cloud” was created as a standalone song and to work so well within the game is an extremely sophisticated process. On the soundtrack, you hear it as a song with the traditional verses and choruses that you would expect. But that’s not the way it was written or produced. The more you play the game the more of the music is unlocked, including the lyrics changing to become more suitable as you get better at the battles. “Crimson Cloud” is made up of dozens of sections, each with dozens and dozens of parts that are in the game separately and can be rearranged and remixed in real time. It’s absolutely fascinating how the Capcom team was able to create a fully interactive song. Casey: First and foremost, I just wanted to write a good song, so that was my first focus when I started writing. A bad song can’t be rescued by interactive game mechanics. And naturally with most songs, regardless of genre, the Pre-Chorus and Chorus tend to be the most energetic and catchy parts. With that said, the goal from the beginning was laid out by Capcom in how they wanted to make sure the song would interact with gameplay. So once I had the base of the song written, I wrote additional Chorus and Pre-Chorus lyrics to help give variety to the player since they would hear this song over the course of an entire game story! This is something that is unique to this game that I wouldn’t do to a normal song release. I also wrote additional transitional material for moments that would take us from one rank to the next. V is the most mysterious of the cast, and Crimson Cloud definitely highlights in the lyrics how he is way more troubled than Nero and Dante. How difficult it’s been to write them without revealing too much about his true identity? Jeff: Yes. We were very careful about that. Obviously, we didn’t want spoilers of any kind in the lyrics. They really inform the story but are not a literal telling of the story. The lyrics for “Crimson Cloud” are really more poetic, and more visual than allegorical. There are a few hints about what V is struggling with, and his conflicts are the main inspiration for the song’s lyrics. The Devil May Cry series always had a strong rock feel to its soundtrack, but Subhuman takes everything up a notch. I feel like the song and the lyrics represent well Dante’s state of mind in Devil May Cry 5, especially the “happy thoughts of this crumbling world” line. How much did you know about the game’s story when writing the song and did you receive some directions from the team regarding the music itself? Cody: Dante’s music has always been a balance of swagger, rock, fun, and never quite taking itself too, too seriously — because that reflects his personality. For Devil May Cry 5, we were definitely playing with the idea of where that balance lies for each character, and where Dante’s mindset was over the course of the game. There was a push from Capcom to get grittier, heavier, and more experimental as they wanted to push the envelope, musically. With three very different playable characters, they had a unique opportunity to explore a new range of musical possibilities. “Subhuman” absolutely takes everything up a notch — that was the goal! The lyrics are quite dark, and reflect Dante in his story so far, allowing his inner devil to become a bit more unhinged at times. 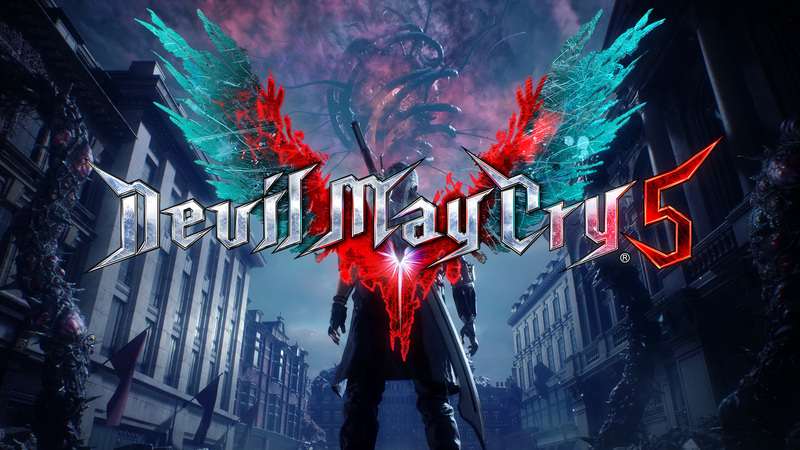 Capcom sent over a lot of information that I found helpful, from summaries of previous games and songs to a brief overview of the story for Devil May Cry 5 (without spoiling the whole thing, of course). They had a hand on the wheel while we were writing lyrics, making sure that the lyrics aligned with their vision of Dante in Devil May Cry 5, without spoiling any of the contents of the story or portraying an incorrect image of the characters. Devil Trigger was the first song of the Devil May Cry 5 that we heard when the game was revealed last year. The song is markedly different from anything that we have heard in the series: were you given some directions on how it should have been or did you have complete creative freedom? Casey: Capcom’s influence on Devil Trigger came from just a few emails filled with adjectives. Things like music descriptors, such as high-energy, pop, and upbeat. They also gave Nero characteristics that they wanted to shine through, like young, reckless, etc. Other than that they really just let me run with it, which I’m incredibly thankful for! As a fan of the series, I was both excited and terrified at taking on the task. I decided digging into my past memories of playing would be a good start, and remembered one of my favorite aspects of the series; The Devil Trigger mechanics. I worked out the lyric “Bang, bang, bang – Pull My Devil Trigger”, had Ali demo the track for me, and Capcom seemed to like it. This was back in February of 2017. Fast forward to the next year, I was told that the song was doing so well internally that they decided to use it as the E3 announcement trailer music in 2018. I was absolutely floored to have that privilege! I was equally anxious to hear and see fan’s reactions to both the song and the announcement! The fan feedback was overwhelmingly positive. I really couldn’t have asked for more! You performed Devil Trigger live at The Game Awards 2018. Did you ever expect you would get the chance to perform the song live and how much time did you get to get the song ready for a live performance? Ali: We were fortunately able to meet with the Capcom team while recording for Devil Trigger, Silver Bullet, and Legacy, and they had nonchalantly asked if we would ever consider performing live. I sort of forgot that we had that conversation until the opportunity to perform at the VGA’s was presented to us. We had one night of rehearsal with the band at CenterStaging, but weren’t able to rehearse on the Microsoft Theater stage until dress rehearsal the day before the performance. It was quite the adrenaline rush! Casey: The idea of performing had been floating around for over a year, but was only mentioned in passing with no real definite date or venue in mind. Then about a month or so before The Game Awards, we were told Devil Trigger was being considered for live performance. I edited together a shorter version of the song, for time constraint reasons, while waiting for the final “okay” that this was going to happen. When final approval was given we had about 2 weeks to gather a band and rehearse the song. I was dead-set on making sure we could represent this track as organically as possible on stage, and we lucked out with some incredible musicians to join us and help that become a reality! Legacy is an extremely emotional song, and I feel your performance made it even more emotional. It definitely makes the ending of Devil May Cry 5 feel like the end of an era. Were you aware of the events happening before the song plays and if so, did they influence your performance? Ali: Although I wasn’t given all the details, I was aware of the general direction that they were taking with this game and its storyline. That knowledge was necessary because not only did I perform as a vocalist, I also wrote the lyrics for Legacy. I knew that this track needed to reflect a complicated family dynamic, while also reflecting the importance of having a support system, so getting the lyrics just right was incredibly important. For the performance, I tried to keep things raw, simple, and tender. I wanted it to sound the way family feels, which I’m sure seems like an abstract concept, but it helped me to get the job done. I feel very fortunate that Kota Suzuki and Capcom trusted in my ability to bring that concept to life. They gave me the freedom to explore and for that, I’m extremely grateful.